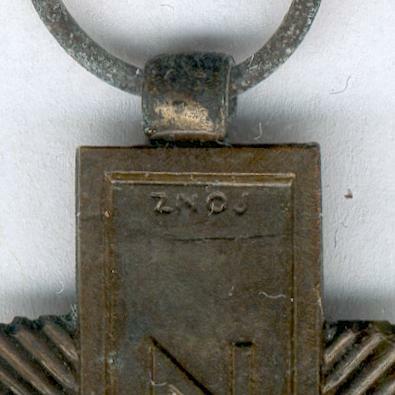 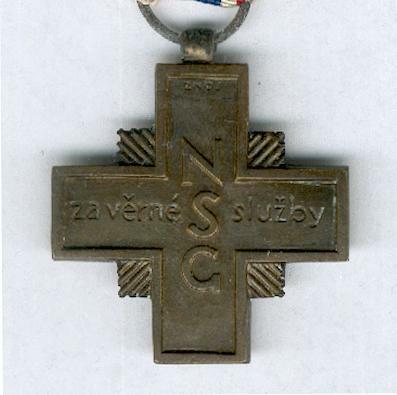 Bronze Greek cross with rays between the arms, on laterally pierced cylinder suspension; the face with the letters ‘NSG’ (for Národní Střeleckých Gard = National Armed Guard) centrally vertically, the lateral arm inscribed ‘za vĕrné služby’ (for loyal service), maker’s mark ‘ZNOJ’ at the top of the upper arm; the reverse with a linden branch and leaves centrally, the lateral arms bearing the date ‘19’, ‘38’; on original ribbon. 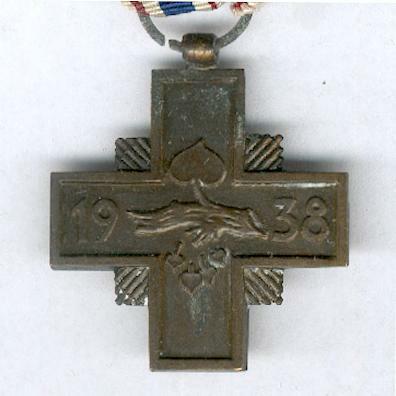 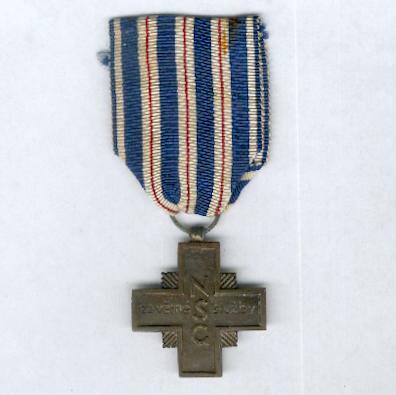 The Czech National Guard can trace its antecedents back to the Middle Ages; this cross was awarded for service during the Sudetenland crisis of 1938 which culminated in the ignominious appeasement of Germany at Munich. 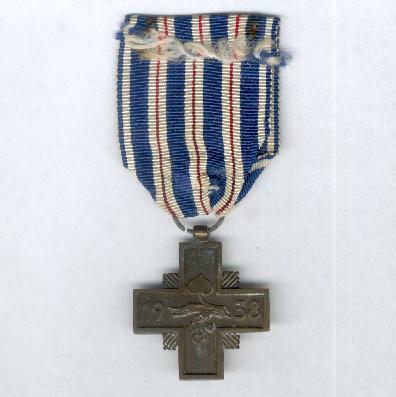 The Cross is rare.